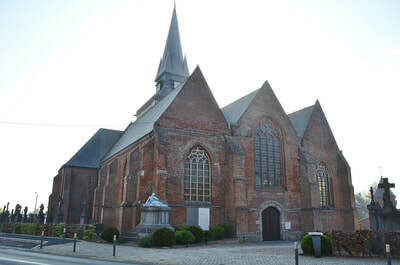 Morbecque is a village and commune in the Department of the Nord, 3 kilometres south of Hazebrouck and 20 kilometres north-west of Estaires. 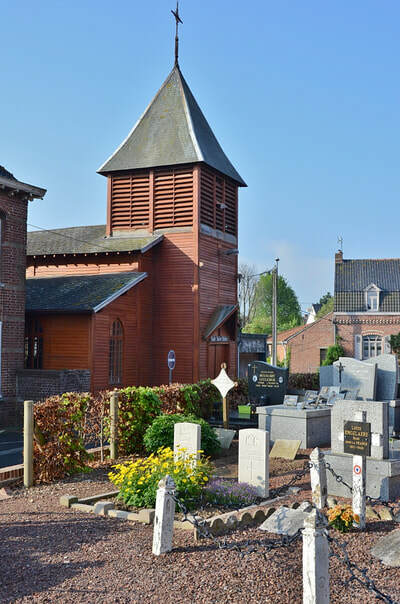 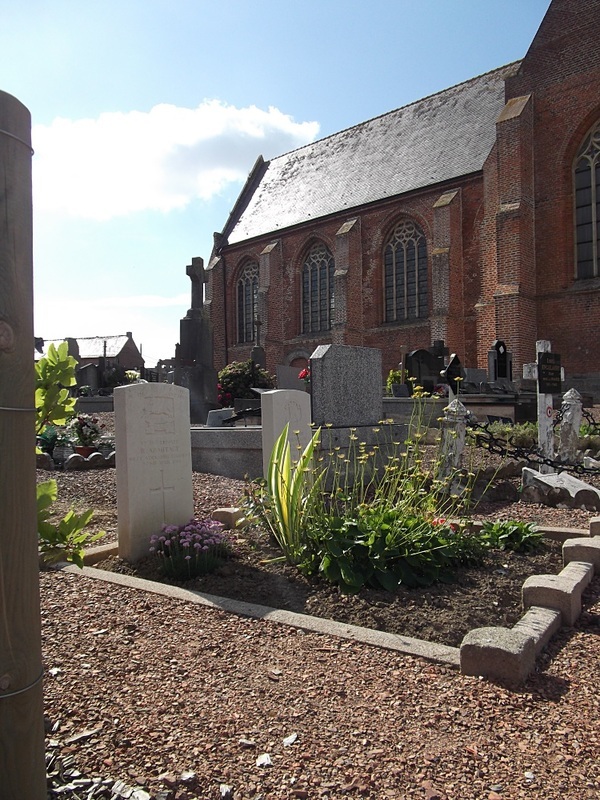 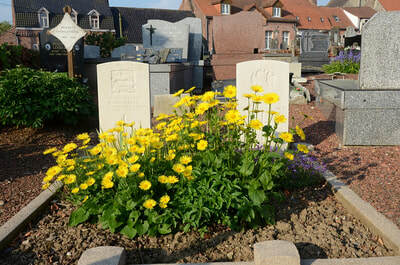 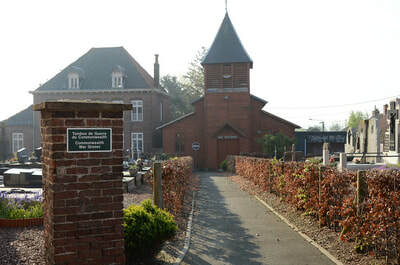 From Hazebrouck take the D916 to Morbecque and Morbecque Churchyard is located in the centre of the village. 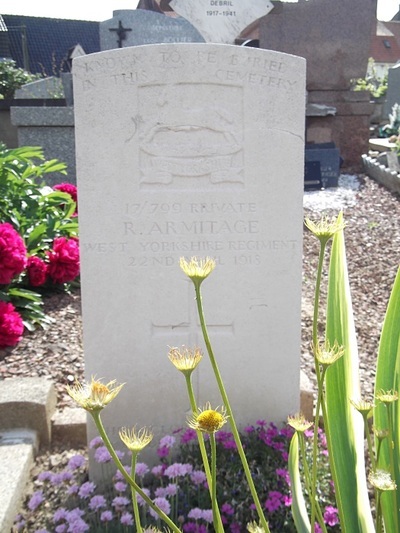 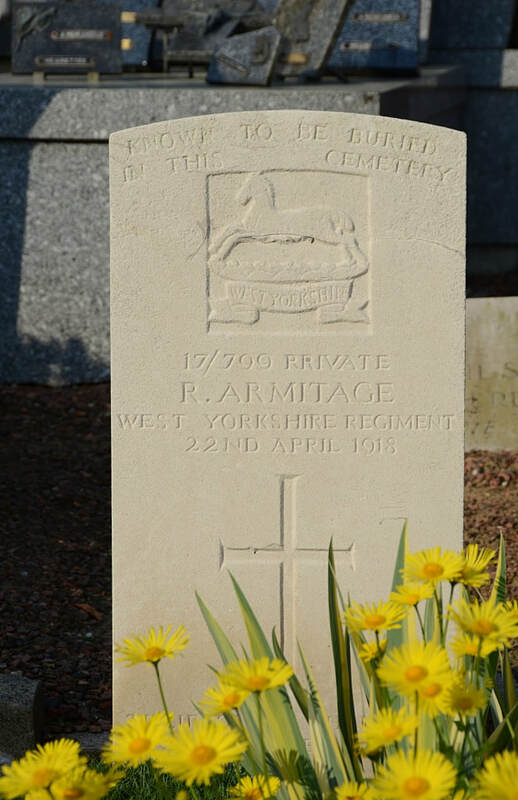 17/799 Private R. Armitage, 15th Bn., West Yorkshire Regiment (Prince of Wales's Own), died 22nd April 1918. 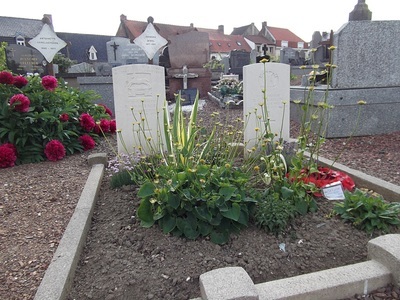 Grave is located at the South entrance. 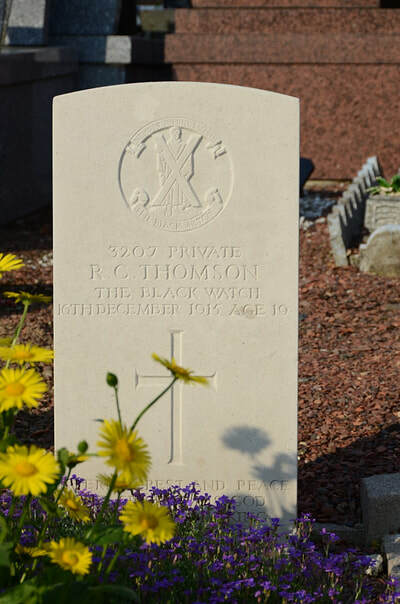 3207 Private R. C. Thomson, 1st Bn., Black Watch (Royal Highlanders), died 16th December 1915, aged 19. 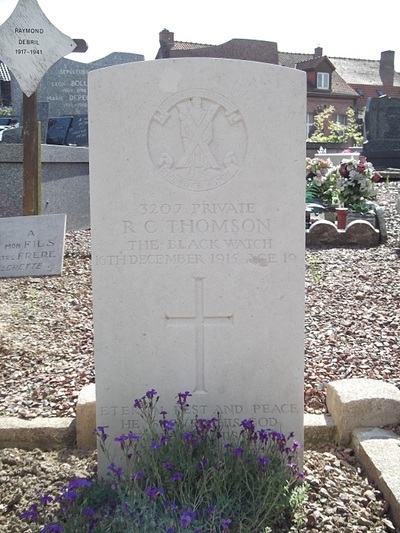 Son of Mrs. H. Thomson, of 105, Murray St., Montrose. Scotland. 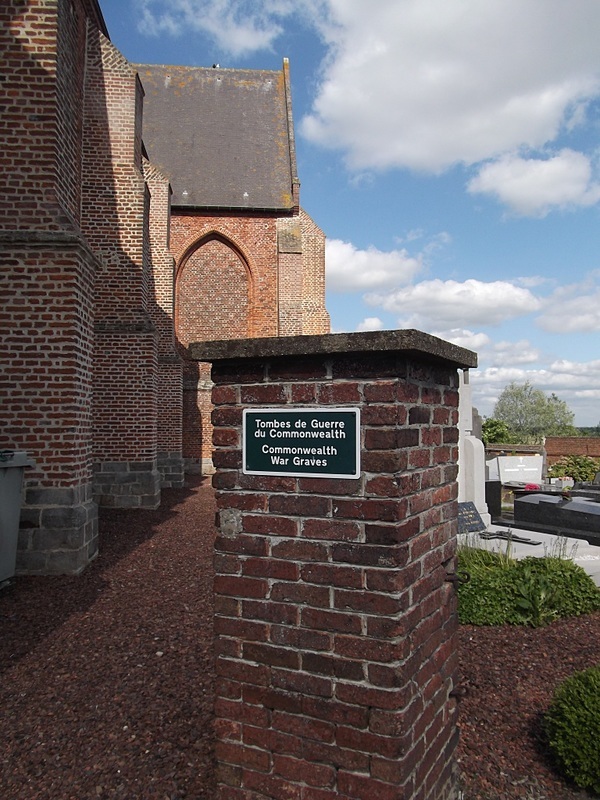 Grave is located at the South entrance.